Iodine is critical to cognitive development and required for the production and regulation of thyroid hormones. Iodine deficiencies can produce a condition known as hypothyroidism, in which the body produces an insufficient amount of thyroxine. One risk of treatment for hypothyroidism is the stimulation of the reverse disorder, hyperthyroidism, wherein your body generates an excess of thyroxine. Iodine deficiency can severely harm your health and may indicate an underlying health problem. Consult your doctor prior to taking supplemental iodine to discuss your health needs. Your body relies on iodine for the creation of the thyroid hormones thyroxine and triiodothyronine, both of which are essential for metabolic function and the cognitive development of fetuses and infants. Iodine deficiency results from inadequate intake of the nutrient and has severe health consequences, such as irreversible cognitive damage in infants and metabolic disorders, such as hyperthyroidism. The World Health Organization regards iodine deficiency as the leading cause of preventable mental retardation. According to data collected from the National Health and Nutrition Examination Survey, the average iodine intake in the U.S. exceeds the minimum required amount; however, deficiencies do exist, and pregnant and post-menopausal women are at a greater risk than the general population. The thyroid is a gland located at the base of your neck and, although small, is responsible for regulating metabolism by means of the hormones thyroxine and triiodothyronine. Hyperthyroidism, also known as overactive thyroid, describes a condition in which your body produces an excess of the hormone thyroxine. Hyperthyroidism can result in substantial increases to your body’s basal metabolic rate, leading to sudden weight loss, an accelerated or irregular heartbeat, nervousness, sweating and irritability. In addition to iodine imbalances, causes of hyperthyroidism include Graves’ disease, toxic adenoma, Plummer’s disease and thyroiditis. Radioactive iodine is one of several common treatments for hypothyroidism, or underactive thyroid gland. Taken orally, radioactive iodine helps to shrink the thyroid gland and, according to the Mayo Clinic, will cause symptoms to subside within three to six months. However, because iodine supplements reduce the activity of the thyroid gland, you may need to take medications to replace depleted levels of thyroxine to restore normal metabolic function. The balance of both iodine levels and thyroid hormones in your body is highly sensitive, and treatment for hypothyroidism can result in the overproduction of thyroxine, and thus contribute to hyperthyroidism. While taking radioactive iodine supplements will effectively treat hypothyroidism in many cases, maintaining an adequate dietary supply of iodine helps to preserve and support the health of the thyroid. According to the standards established by the Institutes of Medicine, adult men and women should intake 150 mcg of iodine per day, and women who are pregnant or lactating are advised to increase their consumption to 220 and 290 mcg per day, respectively. Iodine occurs naturally in seafood, grains, eggs and dairy, and is most abundant in sea plants, such as kelp and seaweed. 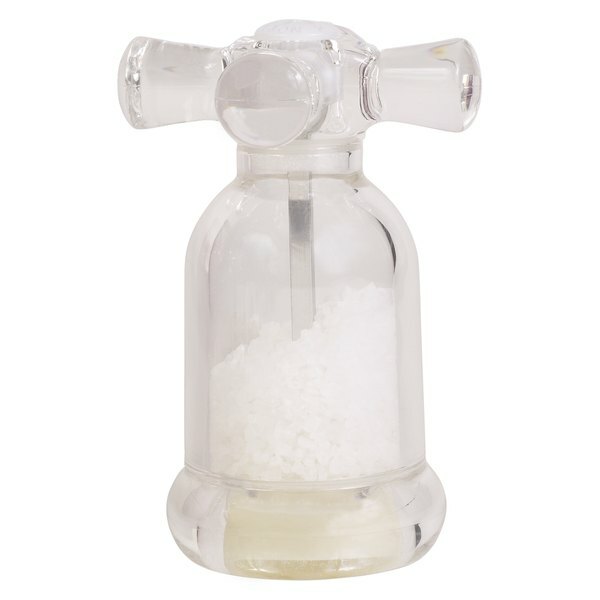 Since 1993, the World Health Organization has actively promoted iodizing salt to prevent nutritional deficiencies, and as a result most table salt contains dietary iodine. Both iodine deficiency and thyroid imbalances are serious health concerns that if left untreated can result in significant harm to your well-being. If you suspect that you have a thyroid imbalance, consult your doctor to discuss the best options for treatment.